It’s been a long, arduous journey but we’ve finally made it! Thursday was our first full day together in Armenia and it has already been an incredible experience. During our initial orientation in Paramus, New Jersey, we communicated the underlying aims of these annual internships. During this internship program, our aim is to encounter, discover and explore. 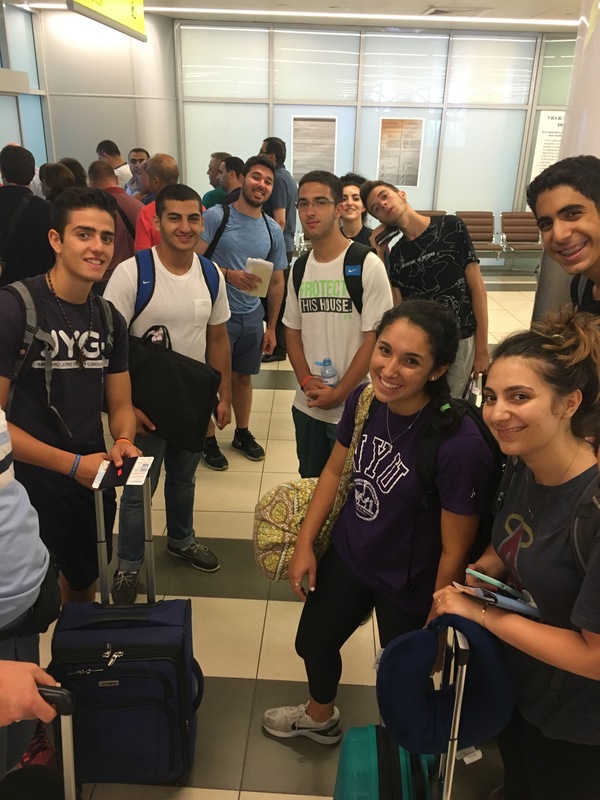 We are here to encounter the important work the AMAA is doing for God’s Kingdom in Armenia; discover our rich ancient Armenian Christian heritage; and explore some of the ways God is moving here in our homeland. On Thursday, we began the day by meeting with the AMAA Staff in Armenia. We toured the offices and presentations from both Harout Nercessian (AMAA Armenia representative) and Rev. Mgrdich Melkonian (Evangelical Church of Armenia, Senior Pastor). Afterwards, the interns had the opportunity to encounter some of the AMAA’s important programs here in Yerevan. The first was the Avedisyan School and the second was the Shogh Day Care Center. We were especially touched by the powerful work accomplished at the Shogh Day Care Center. Shogh provides afterschool activities for young students at risk of falling into unhealthy life patterns. In the summers, they hold a special summer school. We were blessed to sit in on some of the art classes and to watch a performance from their dance group! At the Shogh Center, children who have experienced immense trauma are given hope and are encouraged to dream again. God is doing great work there through a group of faithful, patient staff that love and nurture our next generation.